Sarah and John planned a garden wedding overlooking the Brisbane river at Brisbane’s Stamford Plaza Hotel. When their big day arrived the rain clouds gathered and their ceremony was moved indoors. As you can see their Stamford Plaza wedding on a rainy day was so full of love and laughter that the rain didn’t dampen their day one little drop! If you enjoyed hearing about this Stamford Plaza wedding with Celebrant Jamie Eastgate and are looking for a Celebrant for your special day, Jamie would love to hear from you. 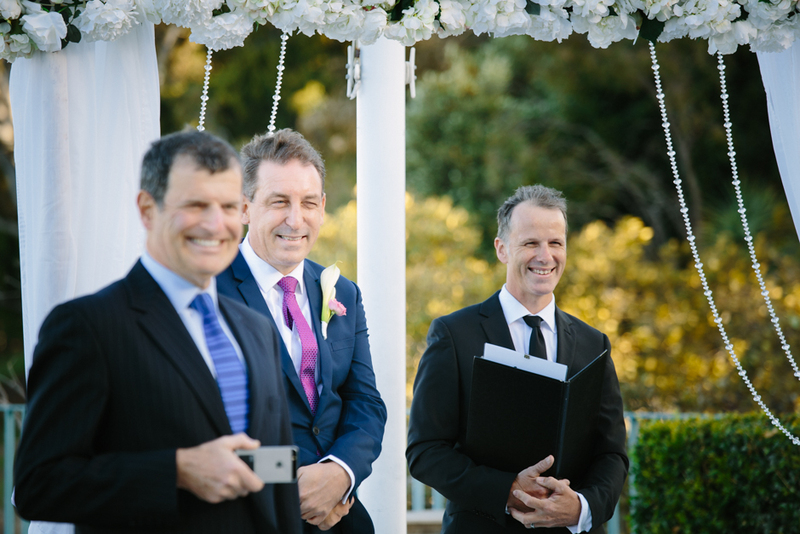 Contact Celebrant Jamie Eastgate now to confirm availability for your special day. We love it when our couples send through photos from their special day and receiving 5 star reviews is like the icing on the wedding cake for us! Anne and Adem’s Stamford Plaza Brisbane elopement was such a special ceremony, they eloped in secret in the company of just a handful of close friends who were all involved in their intimate ceremony, from providing live ceremony music, shooting the wedding to being witnesses for the happy couple. Such a relaxed and happy celebration! The couple announced the news of their marriage the following day before jetting off on their romantic honeymoon! Congratulations on such a beautiful ceremony and thank you for choosing me as your Celebrant for your Stamford Plaza Brisbane wedding. 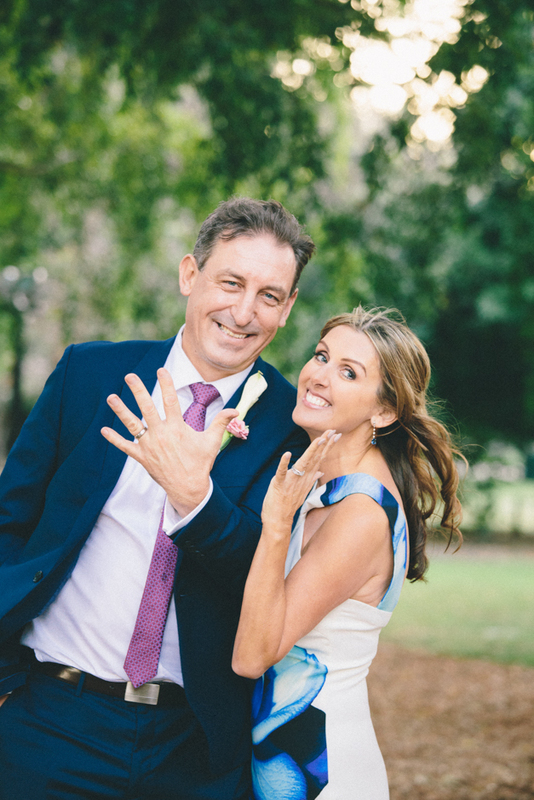 If you are planning to elope in Brisbane, Brisbane City Celebrants would love to hear from you! Contact us now for more information and to confirm availability for your special day. So thrilled to receive this beautiful feedback from this absolutely gorgeous Stamford Plaza Brisbane bride and groom! “Hi Cara, Ben and I just returned from our honeymoon and wanted to say a big THANK YOU for helping make our day a special one. P.S. 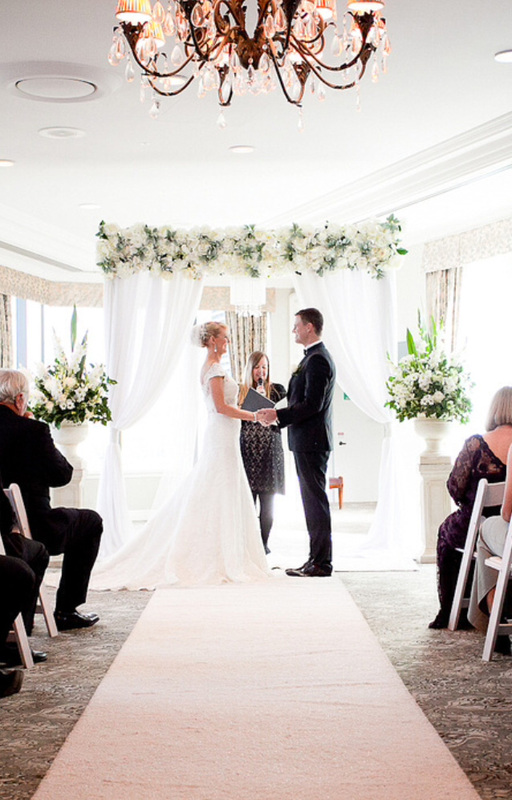 How elegant is the indoor wedding ceremony option at Brisbane’s Stamford Plaza Hotel! 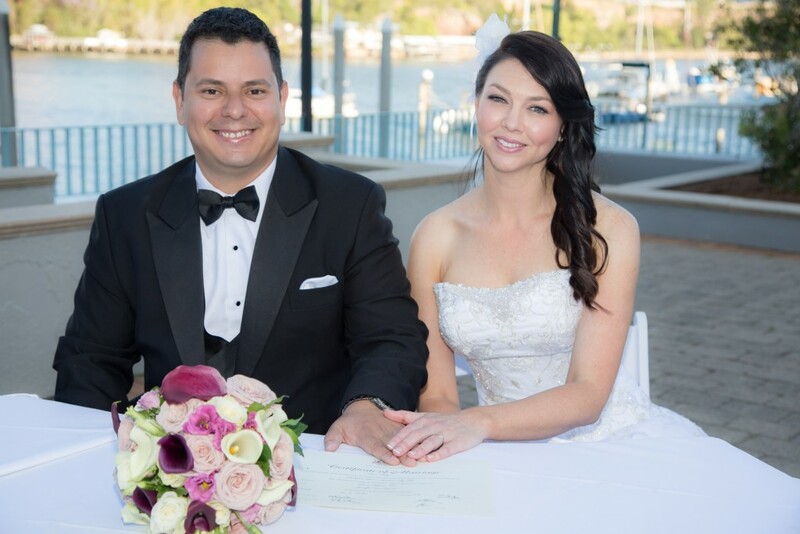 If you are looking for a Celebrant for your Stamford Plaza Brisbane wedding that is eager to perform your wedding, your way then we would LOVE to hear from you. 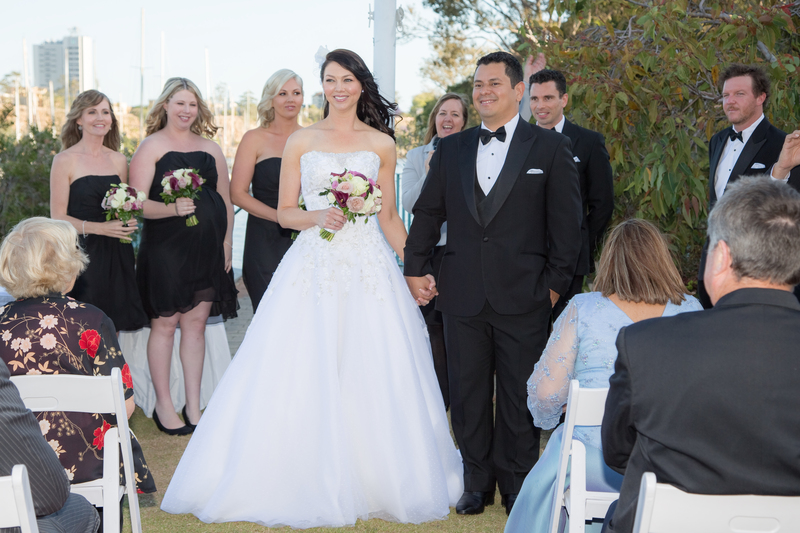 Contact Brisbane City Celebrants here to confirm availability for your special day. I am thrilled to bits to receive this beautiful feedback from a super sweet Stamford Plaza Brisbane bride and groom. This lovely little note has me smiling from ear to ear, what a gorgeous bride and groom! 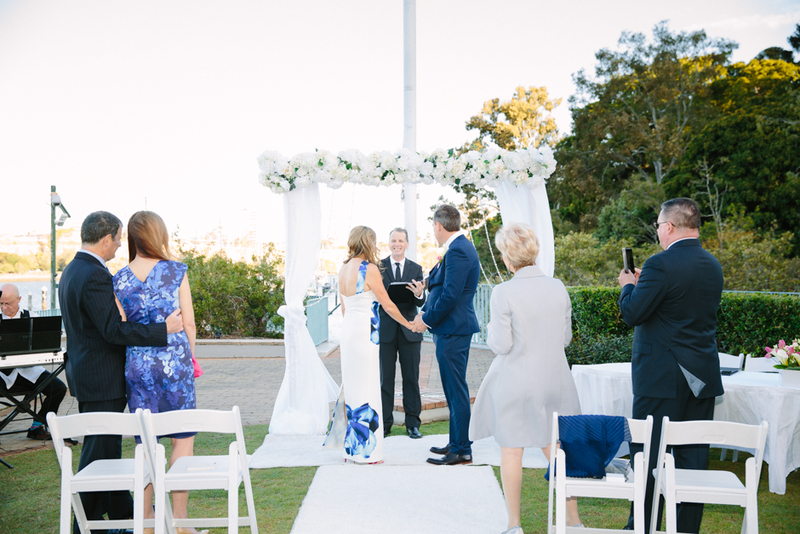 I loved working with these love birds to create their super special wedding ceremony which took place at the Brisbane Stamford Plaza flagpole garden. Stamford Plaza Brisbane is a truly spectacular wedding venue, perfectly located on the Brisbane river beside the City Botanical Gardens, this venue has the added benefit of providing brides and grooms with an abundance of wedding photo opportunities. The elevated ceremony gardens of Stamford Plaza have the most amazing panoramic views of the Brisbane river with the Story Bridge and Kangaroo Pt cliffs in the backdrop beyond on the river. The wedding lawns are beautifully maintained and the venue provide an indoor ceremony alternative in the event of wet weather in one of their grand function rooms. You and you guests can continue to take in the amazing Brisbane river views with a reception in the apty named ‘River View Room’, or alternatively for larger functions the Grand Ballroom is another great choice of reception venue. 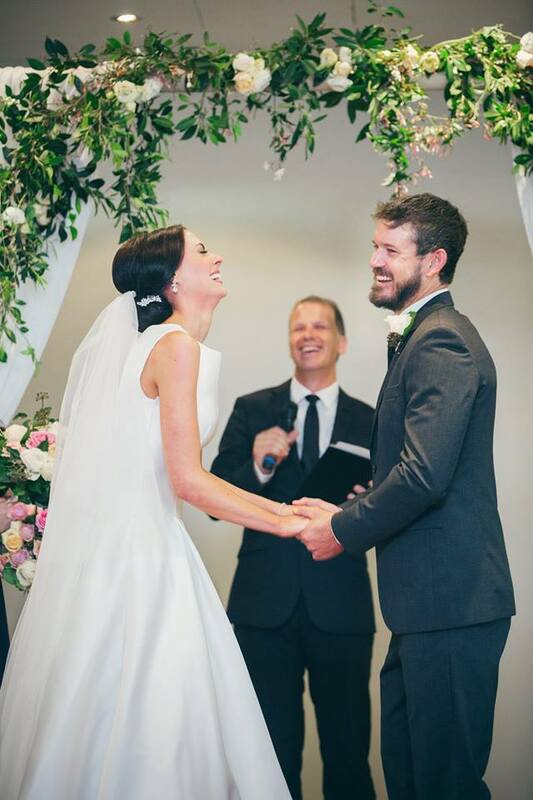 If you are looking for a modern professional Celebrant for your Stamford Plaza Brisbane wedding, or for your wedding else where in Brisbane, Cara or Jamie from Brisbane City Celebrants would love to hear from you! Contact us to confirm availability for your special day.